This bar shows in a scale of 0-10 the Factor of an idea and his owner PROPORTIONAL TO ALL OTHER IDEAS AND OWNERS - 10 is the best, 0 is the worst value. The blue bar changes constantly due to the votes, comments, ratings and activities on this and other ideas. Main objectives of this project are; - 1. 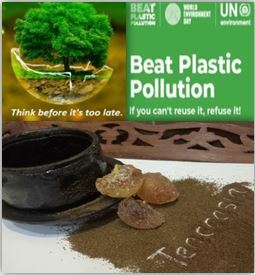 To manufacture a plant based tableware (made from discarded tea leaves) in combating plastic pollution which is alarming worldwide and increasing in global warming. 2. Natural biodegradable products for everyone. 3. Empowering student and school dropouts due to poverty especially girls to be an independent entrepreneur by inventions and innovation. This project will be monitored intensively overall from collecting discarded tea leaves and wood grains, inspection, drying and melting up to molding process. Manufacturing and Production activities: To seek for registered plant based resin sellers for project development and to obtaining the resins easily Seeking an injection molding expertise to provide support in molding the tableware. To provide training programs to school dropouts on how to collect the discarded tea leaves and wood grains from wood manufacturer and restaurants. Guide with the current establish process from collecting to molding. Some innovative strategies and techniques will be applied in this projects for the purpose of sustainability and attracting customers to buy this plastic free 100% natural discarded tea leaves tableware in easy way, those approaches are; - Producing and selling with discounts to all school teachers and students as the awareness of plastic pollution should start from schools - Inviting and mobilizing those people from plastic manufacturer to attract their interest and partnership with other government industries in Malaysia while promoting on the importance of reducing the plastic usage to save the future generation - Supplying to wholesale and retail shops - Advertising the product through media - Establishing schools events to motivate students to use our products Establish campaigns for housewives on the importance to use biodegradable products. The idea of this project will target various groups/beneficiaries such as plant based resin seller, schools management teams, entrepreneurs and manufacturers, students and teachers, school dropouts due to poverty and all housewives. Also, this project is going to have positive impacts on sustainable development in various sectors such as government, industrial and innovation, productions, employment and economic development, generally to give back to the community. Those impacts are as follows Creating employment opportunities to a number of school dropouts due to poverty and boost the economic development. An enterprise will hire workers with low wages as startup so as to support operations, for example will employ industrial engineers for designing, marketing officers, procurement & supply officers, health officers, human resources managers, drivers, business managers, accountants and many more. School dropouts will get direct employment regarding to collection of discarded tea leaves, inspecting and drying the leaves. - Development of biodegradable 100% plastic free sector especially in packaging industries. This enterprise will promote and make a realization to government to invest in this sector also enhancing this department as well as school dropouts well being. - Contribution to district and country revenues - The enterprise will contribute to the community so as to donate in social activities, projects and social entrepreneurship (during achievement of its goals) - Generally will contribute to Sustainable Development Goals in different ways and the future success will be measured and evaluated by the number of customers, support from the government, support from the schools and business partners. Implementation plans and business models are as follows; - Identifying the number of school dropouts, restaurants and business centers which is throwing away the tea leaves- tons of per day, month and year - Collection and inspection of discarded tea leaves will be done every day at the enterprise area. School dropouts will be paid after collecting, inspecting and drying process. - The first three months, the enterprise will work 8hours hours a day for initial monitoring and follow up on the discarded tea leaves storage and other perspectives but the subsequence months will work 24 hours every day. - Within a month of operations, enterprises marketing team will start to promote the tableware of 100% plastic free biodegradable tableware through media such as TV, Social Media and newspaper in order to sell and introducing the brand to the market. - At the few months of operations, enterprise will require more volunteers to work in this project. After that, the enterprise will purchase some machines, inspection of materials and supplying of product after the 1st target of profit reached. - Also, enterprise will establish a network for the school dropout to encourage and educate them to engage or continues their studies where they could be absorb as management employee. Sources of money will depend on competitions or prizes and donations from various organizations or a fund from the government. Currently, I do not have any capital as a startup capital to accomplish the project that's why I do competing so as to get assistance. In other way, the enterprise will collaborate with other industries and government organizations in order to strengthening and busting Teaccasia in the market. Networking and collaboration will increase the trust and receive capital of the enterprise due to sharing of tools, experts and skills. I was born in 2001 at Kulim District, Kedah Darulaman, Malaysia. Started primary school in 2008 and currently in final year of secondary school at SMK Sultan Badlishah this year-2018. I have participated in several world's most prestigious invention and innovation competition and won for bringing over invention which benefits to the society. This has motivated me to engage in entrepreneurship for the purpose of reducing plastic pollution, unemployment problem among school dropouts, also to support one of UNs call of Sustainability Goals.I qualify for this competition due to flexibility and getting help from my parents, teachers and friends in creating lots of ideas in designing, implementing as well as able to do follow up, monitoring and evaluation so as to ensure sustainability of this project. I do not have any experiences in business management but I do have a plan to establish one if I win this competition and with the proper channel, I believe we could help to reduce the global warming caused by plastics pollution, create a wonderful life for school dropouts and empower students especially girls to become an entrepreneur thru invention and innovation. Try HARD and Die HARD! Here we all being more concerned about sustainable development and yours is a right kind of idea that would fulfill that and i would be happy to see that in existence as early as possible. It will be a good initiative toward futuristic development. We also had taken the some steps in same direction. So please check our idea and show your support by clicking the link below. I just want to thank you for you continuous support, comments and possible votes for my project. The best of luck to you whatever the resutls are. Thank you for the kind gesture and for your appreciation and support. It can be applied only with help of people like you who understand its importance and support it. As the competition comes to end.This may be the last time we support each other through comments.I would like to tell how important your contribution is to this platform. I just hope it gets implemented soon and that too on a global platform.I wish you Good Luck . How are you feeling as our road ends temporarily? I have just seen your entry and have been thoroughly impressed by it. Will you be willing to collaborate incase you want to set it up on ground? Good Luck! Hoping for the best..
"Often the difference between a successful person and a failure is not one has better abilities or ideas, but the courage that one has to bet on ones ideas, to take a calculated risk and to act". I am wishing you to be a successful person. Hi, I hope youre doing well. I went through your project and I would say that youve an awesome project . We as the community members can help each other by supporting through voting and commenting. All The very best, Good luck! See my idea"DOCPAT HELPER" I would be extremely happy if you take a look at my idea. Kindly vote and comment Your opinion and feedback matters a lot. It'll help me to take and develop the idea further. As the competition draws to an end, now is the time to wish you well in all your future endeavors. It has been a wonderful journey so far. I want to wish you the very best in your project/idea and hope that we'll keep in touch as members of the this campus, even after the competition. Hey friend! Approximately 24 hours to the end of this competition. i want to commend and applaud your idea one more time and also encourage you to ensure you keep focus whichever way the competition ends. No one fails until he gives up on himself. Your idea is good. This has been a great opportunity to share your idea . Remember to make great changes that help our world be better for each human been. Dear Daashayani what was your goal when you applied to this competition and did this met your expectations? I wish you good luck in your further work and development after competition is over. So we are almost to end in the competition. Hope you all have had a great time here interacting with others who are fighting for the same cause--building a sustainable planet. I also had a great time here interacting with others. The assignments were very educating indeed. They will go a long way to help me go with my enterprise. 1. What id the most important thing you learnt on this platform about entrepreneurship? 2. You got lots of suggestions from the community members. I am curious which ones you are going to implement? 3. Have your concept about entrepreneurship changed after interacting with the community members here? What a journey! Were truly amazed. Keep up the GOOD spirit because it's adorable and rare my friend. These bulletins can help us to ensure a safe and successful environment. You have a talented mind and a good idea is already is your hand. Winning or losing dosen't matter if it comes to a bright future. We also are doing our best for the same purpose. All we want is your suggestion, So please visit our page and have a look on our idea too. 1. Thank you for your response to me. Business is about your existence. It is what you like and with that you are useful. The business is not how rich you are, but more about how happiness you will be. Money is just the impact of what you do, your function is your goal. 2. If you dont mind, lets we help each other with positive comment and sharing together. We the Youth being the majority of the population of the world means that we are the determinants of the future of the world. Let us work together for the best. Yes, it was a wonderful journey ! Were about to finish this journey in some hours! a. Reading them gives me good bumps. Will you be able to give me some more details about your proposal? b. Also, please go through my IDEA called DOCPAT HELPER and if you like it, please vote. c. This is what I could think when I saw your proposal. Truly inspirational and positive initiative from your side that is sending ripples amongst my friends and relatives. workshop, and competition (society), creating a sustainable business by paying attention to the environment, such as buying and selling photos, selling photographic equipment, selling frames that are eco-friendly, creating jobs for frame makers (economy and environment). Awesome. Fantastic. Relevant. These are the three words that came to my mind when I read your proposal. Congratulations. If you get a moment, would you be kind enough to read my proposal (IDEAS) called DOCPAT HELPER And if you do manage to read it, would you be kind enough to vote if you like the IDEA? SO HOW IS IT GOING? WE HAVE READ AND EVALUATED YOUR INITIATIVE AND WE CANNOT BUT HELP GIVING IT OUR HIGHEST COMPLIMENTS. HOW DID YOU MANAGE TO THINK OF SUCH A WONDERFUL IDEA, WE WONDER? 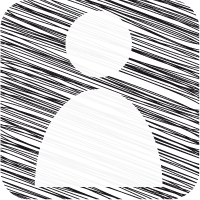 ON A DIFFERENT NOTE, CAN YOU PLEASE GO THROUGH OUR DOCPAT HELPER ENTRY? AND IF YES, THEN WE WOULD BE MOST GRATEFUL IF YOU COULD VOTE FOR IT. A BIG THANK YOU FROM OUR SIDE. Happy to meet you through this competition!!! and i have learnt many things by going through your project. The efforts you have taken to bring up this idea is stupendous and inspiring many budding entrepreneurs like me. We are competitors just for the sake of this competition, but on a broader picture we all are the future reformers and businessmen/ businesswomen. We shall be proud of ourselves as we are not selfish to think only about money earning, instead we integrate the talent with a Sustainable development goals and that is really commendable and a rarity in this generation. We as a whole set an example to various other budding entrepreneurs and make them feel that "Think Good Be Good Live Good". As i say in all my presentations "We should preserve nature for it to preserve us" and we are contributing to that saying someway or other, like in the form saving nature, changing people lives, changing the way we think and fostering humanity in each and every person. What a proposal! I am truly amazed. 1. Thank you for the comments, answers and sharing you gave to me before. I really appreciate your ideas and projects, and please positive thinking to me. I really want to help you to improve your ideas and build engage in a constructive dialog with you before the competition ends. 2. Sustainable development have the main objective to create a balance in the three main components in development, namely society, economy (profit) and the environment. Will you share with me that through your idea or project the balance can be achieved? Thanks. Inspiration and motivation is what i always get after seeing the ideas from people like you, my friend. Keep working. I can support you after the competition too, but only few days are left. We need to support each other for the competition. I liked, voted and commented. Just want to know what has been your focus so far before the introduction of this platform? what do you do or intend to do to survive, what are your hobbies? How are you measuring up with competition if any? where do you get your first capital for investment on your idea? who are your partners and sponsors and can we collaborate? Are your ideas flexible...what do you do if this fails? Let's collaborate ! Your commitment to this project is second to none. I always Love and appreciate it when people uses their skill and knowledge to make life easier. Together we can make a better change. Support our idea by voting and/or commenting. Hello! I'm here to encourage you... there is need for modification of every idea on and beyond this platform. Make sure you don't let go in the pursuit of your ambitions after this competition. It's by so doing that we can collectively contribute our quota to the UN's SDG and make Our world a better place to inhabit. Have a blessed time ahead! "We pledge," says the UN, in its manifesto on the Sustainable Development Goals, "that no one will be left behind [ in the collective journey to end poverty and inequality]. " In addition, the most marginalized will be prioritized : "We will endeavor," the UN pledges , "to reach the furthest behind first." It is in this context that we the youths have come up with awesome ideas and projects, so Let us partner in order to bring positive impacts and solve our community problems. I AM SO PROUD OF YOU , LIKE SERIOUSLY . YOU HAVE CAME SO FAR , I JUST WANT TO SAY ALL THE BEST AND PLEASE NEVER GIVE UP . SEEING PEOPLE LIKE YOU INSPIRE ME. I KNOW ASKING FOR VOTES IS TOO MUCH SO I WON'T ASK FOR IT , BUT I WOULD DEFINITELY WANT YOU TO TAKE A LOOK AT MY PROJECT AND GIVE ME SOME VALUABLE FEEDBACK . TRUST ME IT MATTERS A LOT TO ME . SO PLEASE COMMENT AND LET ME KNOW WHAT I CAN IMPROVE IN MY PROJECT. Help me raise awareness about generic medicine all over the world-you can support me by voting, commenting and sharing with your friends and families by clicking on the link-. I want to appreciate you for your contribution and support so far in my idea. I wish you the best in yours other endeavours.Help me raise awareness about generic medicine all over the world-you can support me by voting, commenting and sharing with your friends and families by clicking on the link-. I LOVE THIS IDEA!!! !I LOVE THIS IDEA!!! !I LOVE THIS IDEA!!! !I LOVE THIS IDEA!!! !I LOVE THIS IDEA!!! !I LOVE THIS IDEA!!! !I LOVE THIS IDEA!!! !I LOVE THIS IDEA!!! !I LOVE THIS IDEA!!! !I LOVE THIS IDEA!!! !I LOVE THIS IDEA!!! !I LOVE THIS IDEA!!! !I LOVE THIS IDEA!!! !I LOVE THIS IDEA!!! !I LOVE THIS IDEA!!! !I LOVE THIS IDEA!!! !I LOVE THIS IDEA!!! !I LOVE THIS IDEA!!! !I LOVE THIS IDEA!!! !I LOVE THIS IDEA!!! !I LOVE THIS IDEA!!! !I LOVE THIS IDEA!!! !I LOVE THIS IDEA!!! !I LOVE THIS IDEA!!! !I LOVE THIS IDEA!!! !I LOVE THIS IDEA!!! !I LOVE THIS IDEA!!! !I LOVE THIS IDEA!!! !I LOVE THIS IDEA!!! !I LOVE THIS IDEA!!! !I LOVE THIS IDEA!!! !I LOVE THIS IDEA!!! !I LOVE THIS IDEA!!! !I LOVE THIS IDEA!!! !I LOVE THIS IDEA!!! !I LOVE THIS IDEA!!! !I LOVE THIS IDEA!!! !I LOVE THIS IDEA!!! !I LOVE THIS IDEA!!! !I LOVE THIS IDEA!!! !BEST OF LUCK FOR YOUR FUTURE!!!! The world is changing by new innovative ideas and yours is definitely one of them. I just saw the sustainability of your presentation and it is really worth. Indeed, you have the qualities of an entrepreneur. We are also working hard and walking on same footprint. So, please also have a look on our idea and support us. Support and help is what we all need in these few days. I always get motivated after seeing people like you who're always thinking to help their community by brainstorming the innovative ideas. I'm highly impressed. I'll support people like you. Voted too! Also, It would be very kind of you if you could take a look at our idea too and comment and/or vote too. This is team M3N, We read your idea, we can definitely see an entrepreneur building in you. We liked, voted and commented your idea. We community members should support each other atleast now, cuz Just three days are left. All the best, May God Bless You!! 1.) What will be your next steps after this competition? 2.) Do you know some investors or stakeholders who can help taking this idea forward? 3.) Was it your first try in this competition? 4.) Have you previously participated in any competition with the same idea? You can have a look at my idea too and give your valuable suggestions on it. This is Team M3N with the idea "DocPat Helper" to help doctors, patients and all other people. 1.	Business requires a passion. Without passion, business is inanimate object. Business is not seen how much profit you gets in the future, but how strongly you can survives in the business. Business is about learning, not planted and abandoned, and hopes to grow big just like that. Businesses require special treatment by maintaining commitment and consistency, and seeing it grow big slowly. 2. And in connection with that statement, what are your expectations and the extent of your efforts to develop and maintain your ideas / projects? I should say I am quite impressed with this idea and i commented before also that it's good. We can help each other in the competition and after the compettiton too. I loved your idea , you have came quite far and i hope you move further and further. I myself being from high school know that talent has no age limitation . There are so many people out there wIith so many degrees but they still can't think something so creative. So i will just say , proud of you. Keep going ahead. 1. What was your motivation behind conceiving the idea? 2. How much manpower do you currently have in your project? 3. Do you get any govt support ? 4. Do you think a non-profit can survive even without the help of government support? 5. How do you envision your project in the next 5 years? 6. How are you going to involve young minds in your project? It is a great initiative and has all the potential to reach great heights never let yourself down because of one competetion and try your level best in all the obstacles that you would face while getting this beautiful idea into existence. Myself being a contestant and a fellow budding entrepreneur, wholeheartedly feel such idea should be available to all the people across various countries and i would like to be one of those privileged people to be part of this... so do let me know when this conceptualised. Just like you even i have great dreams to be fulfilled so i hope you will also share your valuable thoughts through comments and votes for my idea Save Vriksha, i hope you wont regret by reading that idea, so do click the below link to reach to the same. I do applaud your way of social entrepreneurship my dear friend.Good luck and keep up the good work. Thanks The major brunt of the monopoly of big pharma companies is felt by the poor and middle income population. In scarcity of sufficient funds,they are unable to get best quality medication and eventually have to cash-in their life savings. This not only puts them but their whole family on the line of poverty. Your idea is inspiring and sustainable in its formation! However, we need to partnership in order to go further in the implementation of our ideas! Your can also support mine by voting, commenting and sharing with your networks. This is a very good project. It's very good to have biodegradable products rather than plastic. Because plastic has emerged as one of the most widely used materials, across the globe. But it is harmful for environment. So we need to spread awareness more and more. Your objectives are also good. Keep going. All the best. a. Does your idea or project do the same thing? b. With whom do you cooperate? c.	What is the form of cooperation you offer with them? 2. I am very happy if you will share with me and please give me comments or advise on my ideas about this through the link https://www.entrepreneurship-campus.org/ideas/16/9530/ Thanks. 1. Thank you for your response for my question, give comments, support and voting for my idea in "Eco-Creativephoto Studio". I really appreciate you and want to help you to develop your ideas or projects in this competition. I really hope that our collaboration does not stop until this competition, but after this competition we can continue together and develop these ideas and projects in our community and globally. 2. To achieve sustainable development, in developing your entrepreneurial ideas or projects for the future, certainly requires a strategy so that your vision or goals can be achieved. You can share with me at this link https://www.entrepreneurship-campus.org/ideas/16/9530/, what are your strategy to achieve your vision or goals? thanks. i hope you are doing well..your project seems very interesting ..the idea is good, but every idea needs its implication so from where will you start your project and how you see yourself with our project after 5 years? Only 1 week left for the results and the top 10. What is your plan to develop your project in the future? What will be your first actions if your project is been selected? If you want lets discuss and please have a look of my project and feel free to comment or advise accordingly. I hope my previous comment helped you ..I wish it gets implemented soon . To support it I voted for you today.I also hope that you will support my idea too. Good Luck to you. 1. Previously thank you for your response and explanation for my previous question. I really appreciate your thoughts. If you dont mind, I want to ask what is the difference between your ideas and projects from others? or is there a specific theme of your idea or project? 2. I want to share my idea about "Eco-Cretivephoto Studio" called ec-studio. My business idea is through a hobby that I have done in one creative entrepreneurship like art photography. Through Eco-Creativephoto Studio, I want to educate people to change their characters for the better through photos. Through photos, there are people who can say something, communicate and speak and the most important thing to get good photos is the skills needed, patience and focus. My idea is collaboration between the concept of art photography, business, the concept of sustainable ethics and educational skills and development towards sustainability. This is what differentiates my ideas from others. If you want to share with me, please open this link: https://www.entrepreneurship-campus.org/ideas/16/9530/ Thank you. Very useful and nice concept! The lovely thing about this platform is that, every idea seems unique and innovative in it's sense. Yours is just that type. Please kindly check on my idea too for comments Demonstration Farms. I have read your idea/project and it just awesome. Never give up. I wish you all the best. Good luck. and consider supporting my idea with comments and votes! It was really a pleasure to read about your project. We would be glad to know where do you see your project in the coming year or two. Out of curiosity, we would also like to know what was your inspiration behind this project. it different from the competition? What is that piece of work that makes your project innovative? Your project is a great one which will make the necessary impact if you keep at it. I encourage you to not give up but strive for greatness and with determination, you will smile at the end. we all have to play our part in ensuring we achieve the SDGs. Please click on my name, comment and vote for my project as well. I just did for yours. Hi! Your idea is inspiring and sustainable.We as community members need to partnership to go further in implementation of sustainable development ideas!! 1. It can only take a brilliant mind to conceive what you are presently doing, unfortunately, the government and public may not give so much support to such endeavours as much as is needed. Please continue your good work because if your project get scaled, it will do great good to alot of lives. That's the link of my project, if you could do something to improve on it, what will that thing be? Your idea is inspiring and sustainable.We as community members need to partnership to go further in implementation of sustainable development ideas!! Your can support me by voting, commenting and sharing with your friends and families by clicking on the link-. Look at this very promising idea!!!!!!!!!!!! As far as I can Understand, it is not only a great idea but the best project. 1. I went go through the details of your idea and was indeed very impressed. Would you be kind enough to explain to me as how you got this idea? Importantly, who were the people inspiring you to gone up with this idea? 2. May I also request, please have a look at my idea called Eco-Creativephoto Studio in this link https://www.entrepreneurship-campus.org/ideas/16/9530/. If this relevant to your country, please share it to me and I will be happy to provide you with more detail to you. Your project is amazing .It fulfills important sustainable goals and would be very beneficial to people.To bring our ideas /projects forward be should support each other.I too have an idea"EDUCATING EVERY PERSON ON CPR" so I would be happy if you take a look at it and Please comment and vote.Your opinion and feedback will be helpful in developing the idea further. Your idea is good. What does Teaccasia means ? Continue improving peoples quality life , you can make changes that help the world be better. We are the reasons of bringing positive impacts and solving our community problems. Lets keep this positive chain in our community and supporting ideas and projects. Hi colleague I hope you're doing well. Your Idea is amazing and I'll be so proud to have the opportunity to meet each other. However, what is the key factor of your innovation? Is it your team, your business model, your process or your realistic milstones? Is your innovation a strong scalable entreprise? What could be your turnover in the next 3 years and what could be your gross margin? Is your innovation need a patent? Wonderful idea that you are creating employment avenues and preserving the environment at the same time. I like the fact that your idea seeks to uplift unemployed girls since they are prone to exploitation and violence. This is an excellent project by student from SMK Sultan Badlishah.The idea of Daashayani to invent The Teaccasia is very good.All the best for Daashayani and her sister. This is an excellent project by a student. When it\'s hard to destroy plastic that endangers the animal ecosystem, Daashayani's idea should be looked at. It should be adopted by all countries. All the best to her. Excellent project by utilizing natural plants or biodegradable products for everyone. A very innovative project and help to create new jobs in your country. Good luck. It is great project and hope will success the project. It is great opportunity to school drop outs to gain knowledge on this project.